Reverend Dan and the Dirty Catechism on Advocate Sessions Stage - Utter Buzz! Reverend Dan and the Dirty Catechism, Springfield-based preacher rock n’ roll with a side of post punk. 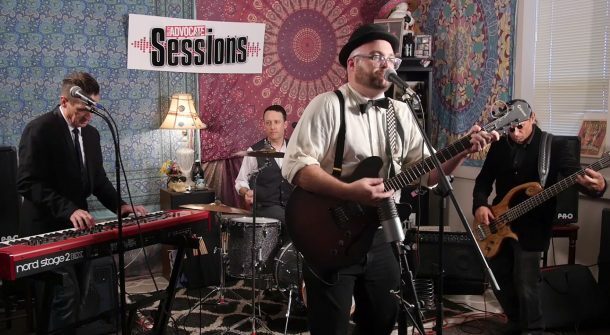 Check out our past Sessions performers, including Seth Newton, Old Flame, Shokazoba, and Tang Sauce.